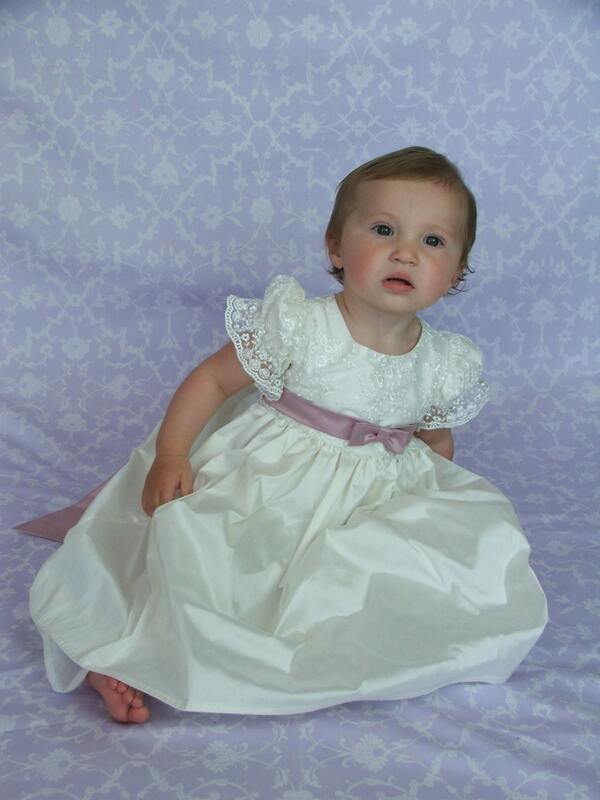 This Christening Dress is such a sweetie. Sumptuous embroidered tulle decorates the bodice and sleeves, with a simple lace frill to finish the small puffed sleeve. 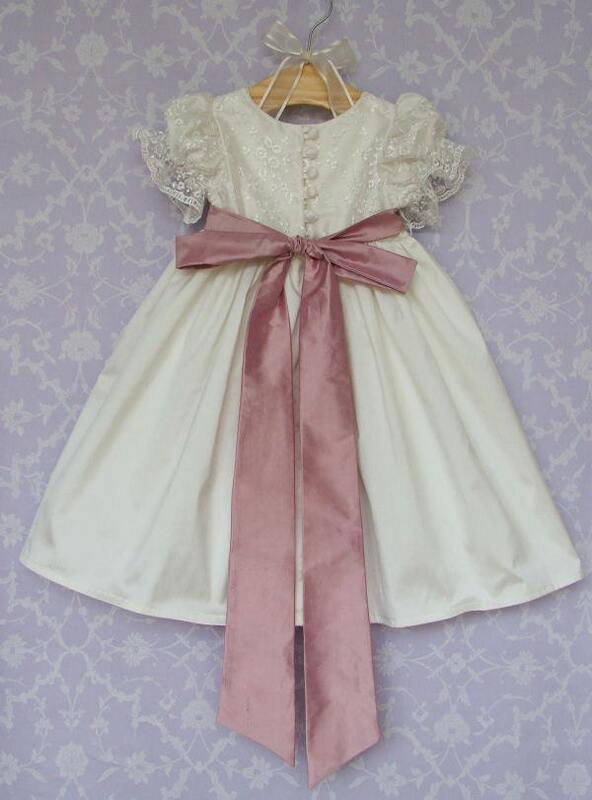 The dress is finished with a Dusky Pink sash that you tie in at the centre back in a big loopy bow. The sash can either trail on the floor , very cute or be tied higher off the floor. 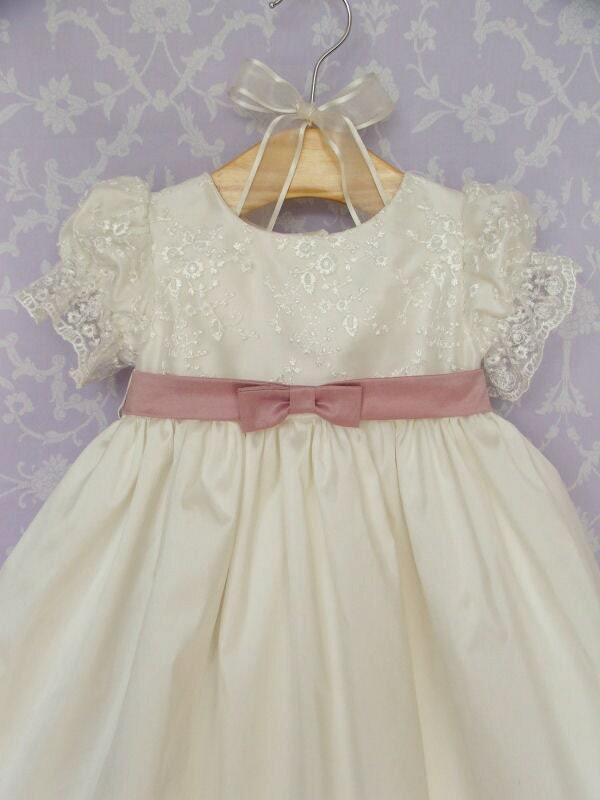 This bow is available either in Ivory or Dusky Pink. 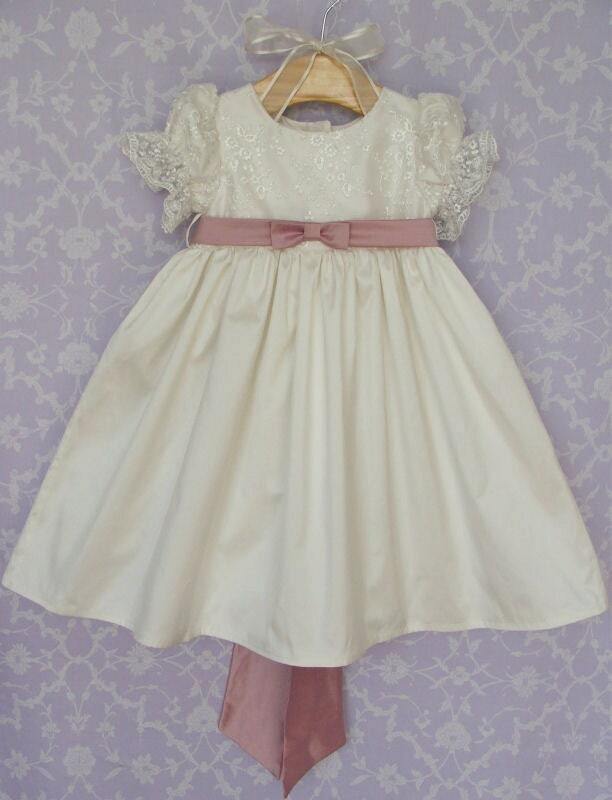 The sash features a dainty flat bow at the centre front. 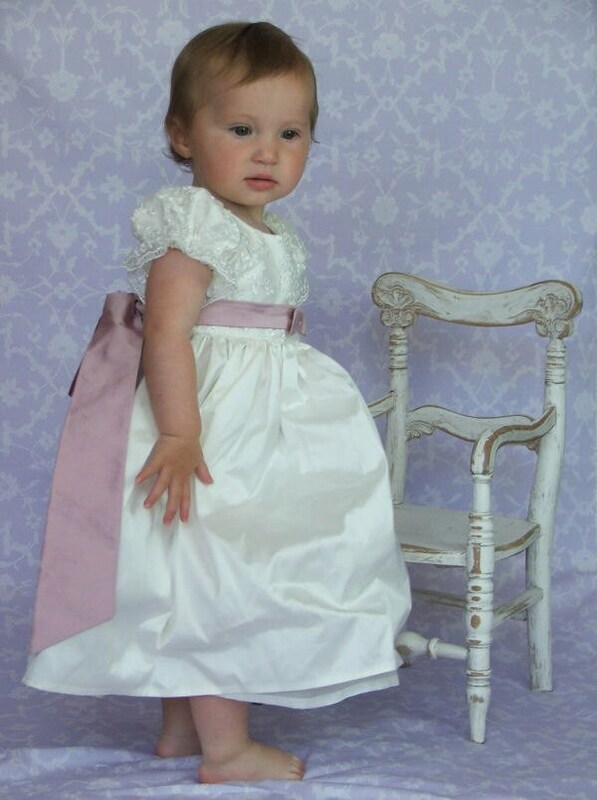 Sash available in either Dusky Pink or Ivory.